If you want to get married in the Netherlands one of you have to be Dutch, or have to be registered here. You have to give notice at least 2 weeks before the wedding ceremony and maximum 1 year before the ceremony. You have to give notice at the council. You can do this everywhere, but it is better to do this in the city where you will get married. You have to make an appointment en it is wise to get some information before to know what documents you have to bring. 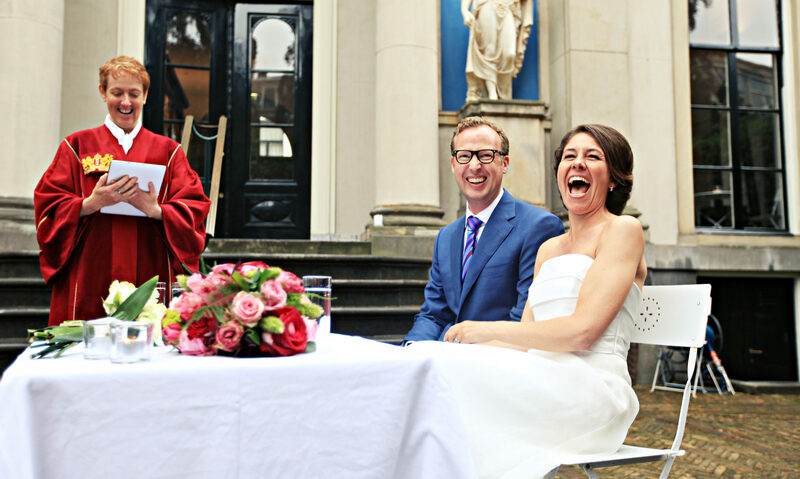 If you get married in Amsterdam I can arrange this for you. I can send you the right forms, with the right authorizations I can do it instead of you. If you live abroad, and one of you is Dutch, than you have to arrange this in The Hague. Click here to get the right information.